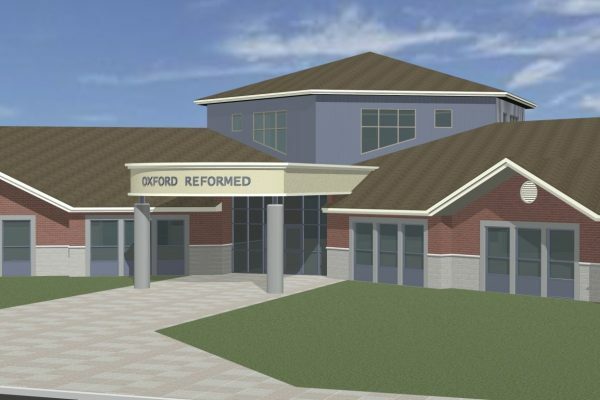 Oxford Reformed School | Learn Project | Reinders + Rieder Ltd.
Reinders + Rieder Ltd. were retained to transform a rural farmer’s field into a new primary and secondary education centre for the Oxford Reformed Christian School community in Mt. Elgin. The site was the centre point for the surrounding Reformed communities. 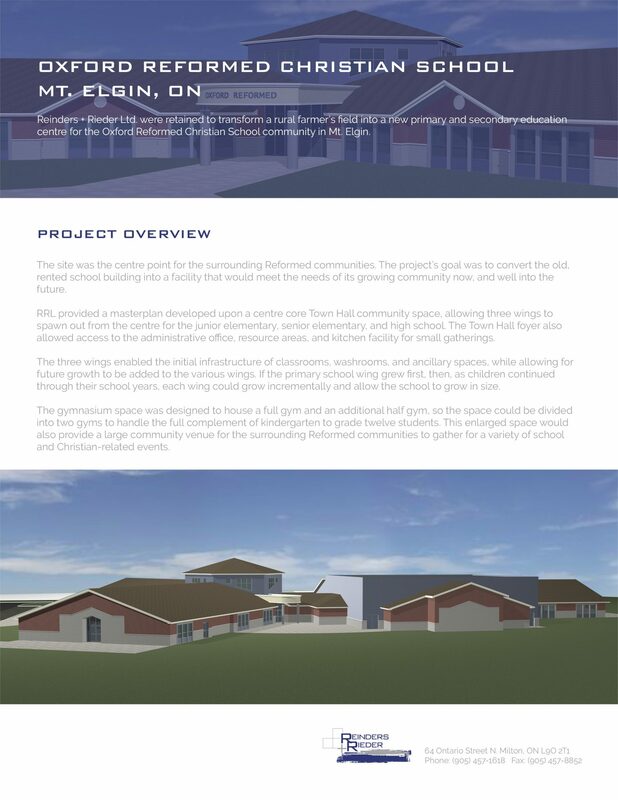 The project’s goal was to convert the old, rented school building into a facility that would meet the needs of its growing community now, and well into the future. RRL provided a masterplan developed upon a centre core Town Hall community space, allowing three wings to spawn out from the centre for the junior elementary, senior elementary, and high school. The Town Hall foyer also allowed access to the administrative office, resource areas, and kitchen facility for small gatherings. The three wings enabled the initial infrastructure of classrooms, washrooms, and ancillary spaces, while allowing for future growth to be added to the various wings. If the primary school wing grew first, then, as children continued through their school years, each wing could grow incrementally and allow the school to grow in size. The gymnasium space was designed to house a full gym and an additional half gym, so the space could be divided into two gyms to handle the full complement of kindergarten to grade twelve students. 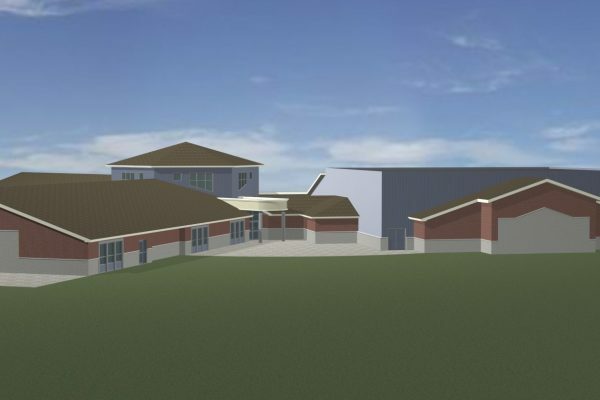 This enlarged space would also provide a large community venue for the surrounding Reformed communities to gather for a variety of school and Christian-related events.